Bill Shorten will again seek to raise the stakes in the tax debate, as well as unveil a major health initiative, in his Thursday night budget reply. With a health announcement its centrepiece, Labor is casting the speech as a launching pad for a heavy focus on Medicare in its election campaign. It is characterising the health measure as a bold investment in a problem area that needs addressing. Medicare was fertile ground for the opposition at the 2016 election, when Labor whipped up its “Mediscare” around the scheme’s future. Sensitive to the the ALP’s usual advantage on health, in the budget the government matched the opposition’s promise to bring forward to July 1 the end of the freeze on the Medicare rebate for GP visits. 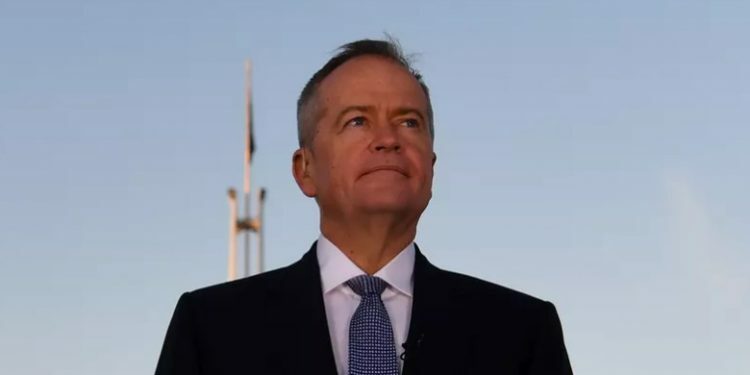 Shorten will target low income workers for greater tax assistance, saying that under the first round of tax cuts in Tuesday’s budget – which Labor has accepted – these people would be worse off than under the ALP’s tax plan announced last year. The budget papers show everyone earning less than A$40,000 would pay more tax under the Liberals than under Labor’s 2018 proposal, the opposition says. More than 2.9 million taxpayers earn less than $40,000. Of these, more than half (57%) are women, including many mothers working part-time. A worker on $35,000 would get a tax cut of $255 a year under the government, compared with $350 in Labor’s original plan; a part-time worker on $40,000 would get a cut of $480 under the budget, compared with $508 under the ALP’s 2018 plan. Shorten will say that under his government some 10 million people would receive the same or bigger tax cut as in the budget, with nearly three million low paid workers getting a bigger cut. He will portray his policy as one for working mothers, with lower taxes for low income and part-time workers, $400 million to boost superannuation, and universal preschool for three and four year olds. Ahead of his speech, Shorten described the government’s tax plan as “a Liberal party tax on working mums. “Families are already dealing with cuts to child care and no funding certainty for kindergarten under the Liberals – the last thing they need is higher taxes,” he said. “Whether it’s lower taxes, better super or universal preschool, Labor is the party for working mum and working families”. Shadow treasurer Chris Bowen said the government had finally caught up with Labor’s policy of bigger tax cuts for 10 million Australians earning less than $125,000. “But they haven’t provided that for Australians earning less than $40,000. “And there’s more than two million of those in the country who’ve been stiffed by the government last night, for whom they haven’t given the same sort of tax cuts. So we will be remedying that in our policy obviously”. Bowen said Shorten in his budget reply would be “drawing together the threads of the work that we’ve done in opposition. Shorten’s speech will mark the end of parliamentary sittings before the election, although Senate estimates hearings are due to be held on Friday.